Mumbai is a hub of video production companies and so is your passion for a music video that has landed you on this article. Planning to shoot a music video with the capture of your voice or your face, but you are just an amateur to pay hike to it, so, here is a list of points which can be followed to make your new charming music video. Be prepared with your Song: For a music video, you undoubtedly need a song which happens to be the main element of your video. It might be a remake of some other original song or maybe a newly composed song. Get a Team as well the Types of equipment Required: If you need to prove an ideal dependency on your music career you definitely need a crew to handle the major part of your shooting and also require some good and professional equipment which will allow your crew to implement their work cordially. To shoot a video, you undeniably require a set of people who will aid you in varied tasks. You need at least one cameraman, a lighting person who will manage the entire lighting process for your entire video and a director who will take the entire responsibility of the shooting of your music video. 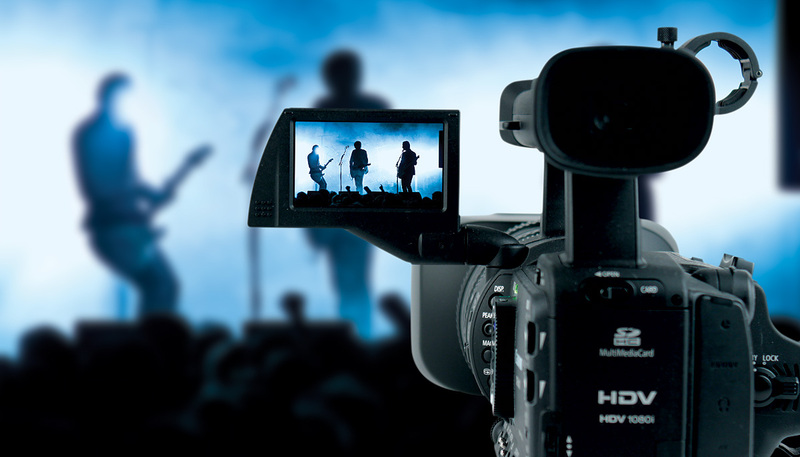 You also require a camcorder that will shoot your entire video which can later be taken to an editor who can produce the finalized version of your video. Whenever you are thinking to invest in a camcorder, do invest in a good quality and a high definition one. For good lighting that will enhance your video, either you can buy a whole lighting kit or a set of some artificial lights so as to give a clearer outlook to your video. Also, keep the availability of a travel medium because you need to carry many types of equipment which is required to be transported at different locations for your video. Also, keep in mind that the size of the vehicle it is capable enough to carry all of your types of equipment and crew members. Other requirements can be: Batteries of Camcorder, Tripod Stand, and Microphone if you need to record a conversation or other sort of dialogue delivery, memory cards and so on. Plan your Shoot and its Locations: Planning is required to be made for the Shoot and about its other various prospects. The more efficient your planning is, the quicker you will avail your results. You need to plan the basic story which you need to portray in your video and then decide how you have to contemplate the scenes of the same. Also, you need to determine the roles that are needed to be assigned to different actors with the complete description of what they need to enact. Also, a briefing to the lighting man and cameraman should be done about the requirements that are required at different segments of the video. Also, you need to get an idea of your right location and props so as to give an original vision to your video. Filming: After everything is ready and on the place, you need to now factually shoot the video. For shooting a good quality of the video, you need to learn that how you have to use Camcorder. No doubt, you buy the best camera and lighting types of equipment, till the time you don’t know how to use a Camcorder and how to navigate it, you won’t be able to get good results. You need to get yourselves acknowledged about the features, usage and settings of the camera. Also, you need to know about the different shot sizes and then get to know which type of shot sizes you require in your video at different segments. It ranges to extreme close-up to extreme long shot. You need to illustrate different angles in your video so as to enhance the versatility and authenticity in your video. Video portrayed at one angle will always be monotonous and boring. You may also use some other features of the camera that are zoom, crash zoom, whip pan, pulling focus and so on. Also, a detailed observation is required about the lighting techniques so as to be perfect with the video quality. You need to maintain a good composition and framing for the actors so as to make a presentable video. It might be in terms of a good background or a good space to portray the whole scene. To read more blogs CLICK HERE.